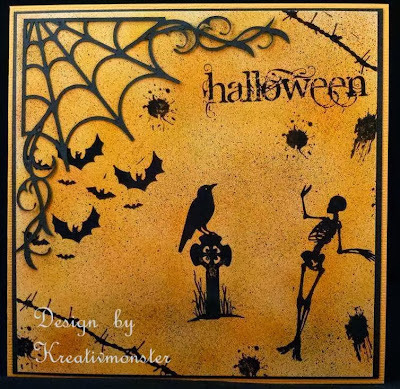 Hi, Kjersti here today - with a Halloween card for you this time. pumpkins are also a Mo Manning image. Åsa here today with some colouring inspiration. For this card I have used papers från Bildmålarna and distressed all the edges with Walnut Stain. 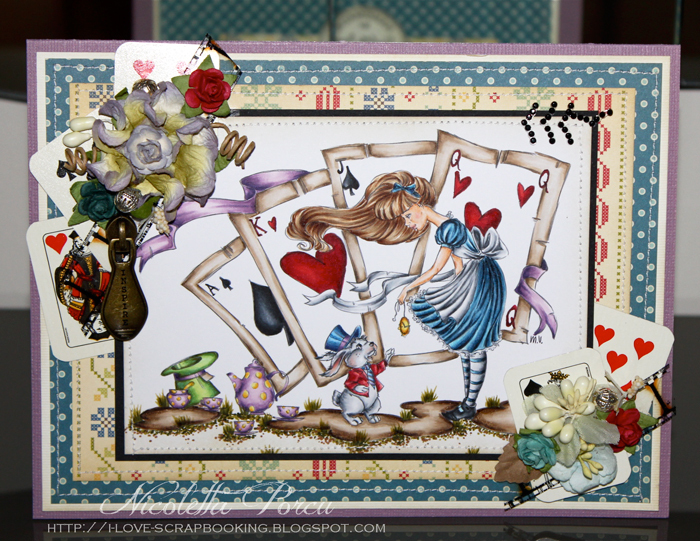 Around the image I have distressed with Tea Dye and stamped with different Tim Holtz stamps around the motif. The sentiment says "You are the best there is" in Swedish. 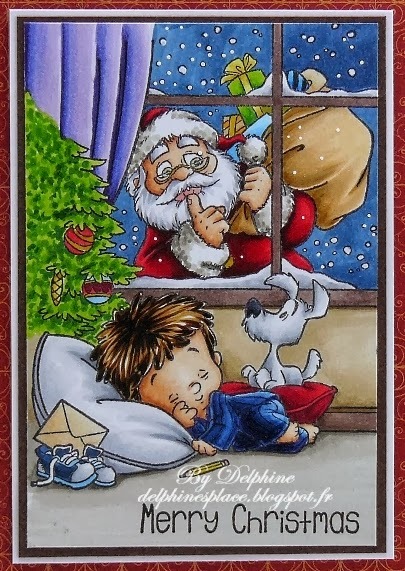 On this card you can see one of the brand new christmas stamps by Whiff Of Joy. "Henry with Tree" is the name of it. I went with greens and turquoise tones for this card, they go great with the grey I used for the mouse. The snow just got a hint of BG10 and BG000 in the darkest areas and was covered with Stickles after coloring. The star got some silver Stickles for the sparkle that a star on a christmas tree needs. I used some Vellum for the snowflakes and some silver cardstock to mat the image and papers. I also found some silver lace in my stash which was just the perfect addition. Hello Copic lovers, it's Franz here again! 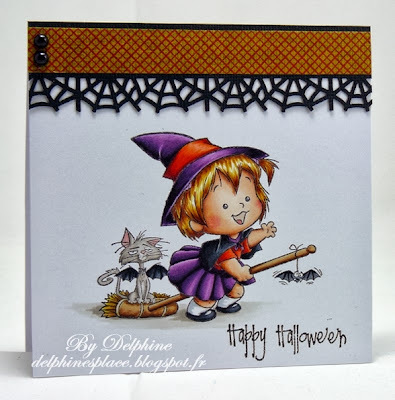 I've another Halloween card and the protagonist today is one of the loveliest witches I've never seen! The design is quite simple and incredibly I didn't use any flowers this time! Today I have played with Copic Refills and my Airbrush system. Your fav Refill combo I have used FY1 YR24 G46 G28 G24 Y38. Drop a few drops of the Refill ink on your craftsheet. Spray with the Activator over the ink. Take your Glossy paper en pull them trough the ink. If the ink dries you can activate it with activator again and bring your paper again through the ink. Repeat this, still you're satisfied. Take your piece of scrappaper and rip the edge so you have mountains. Use this as a mask to airbrush mountains. With the cirle mask you airbrush the sun in yellow colors. If your are satisfied with the result you can stamp now over the image. Use pigment inkt for glossypaper. Archival ink is a good option. But realize all kinds of ink can react on the copic ink so you have to heat set the ink. Glue your card on a black piece of cardstock and then on your basic card. I hope that I have inspired you with my card. It’s Cinzia here today to share with you another card I made for Copic Marker Europe blog. 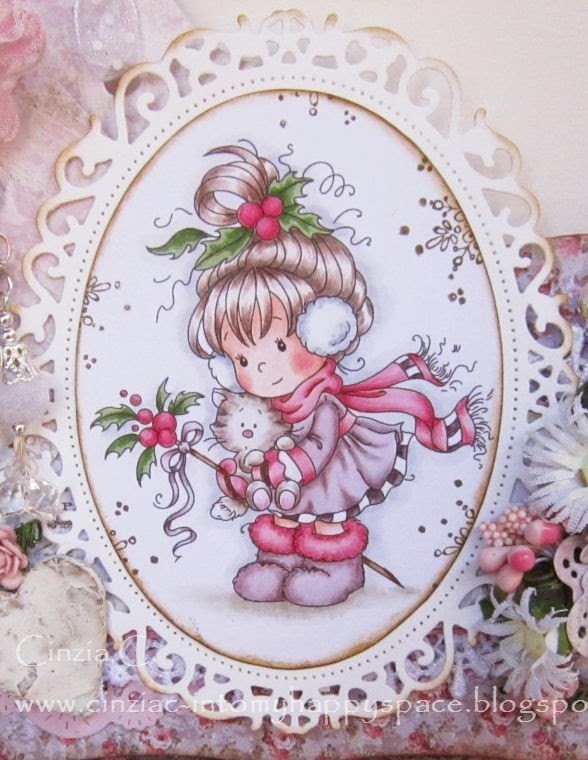 Today I prepare a Christmas card, it’s only October but there are so many craft things to prepare for this event that I think it’s time to start with them. 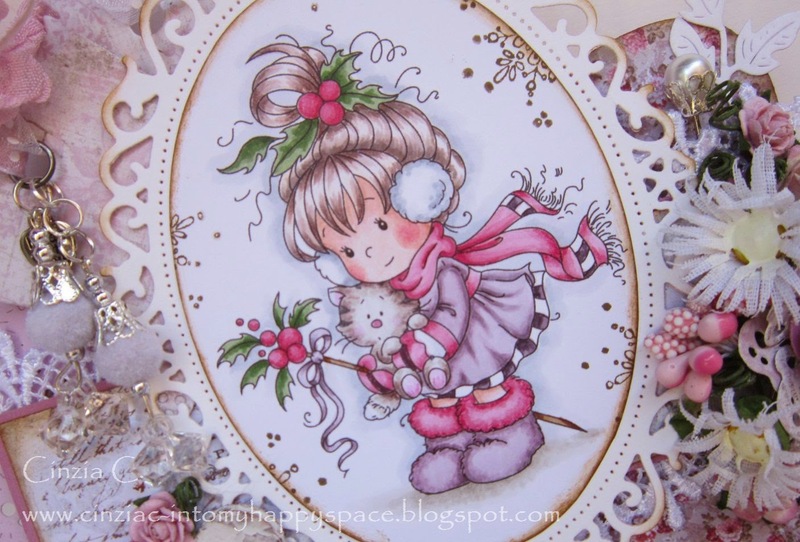 For my card I chose an image by Sylvia Zet called “Berry”, as usual very very cute and sweet, perfect for a Xmas card, and decided to use my favourite colour combo at the moment: the light purple and pink, using the copics V 91,93, 95 and the R81,83,85. The image is a digi from Sylvia Zet called “Berry”, the papers are by Magnolia so as the sentiment, the dies are by Spellbinder ”Floral Oval” and “Label Eight” . Do hope you enjoy my card! Good Morning and happy Sunday everybody, Copic lovers! I've a lovely image from the Crafty Sentiment Designs to share, it's a veeeery sweet one and just perfect for the incoming Christmas! I love no traditional colours for Christmas and I couldn't resist to the latest papers from Maja Design, so I have a violet-purple Christmas card! I generally divide the hair in small areas and colour them one at a time. Now simply continue the same lines with E13 again; narrow only the tips of the darker lines! Here I also added some touches of E29 on the darkest areas to give some more depth. same tecnique with the other areas. you will need a little bit of patience, but the result will pay you back! 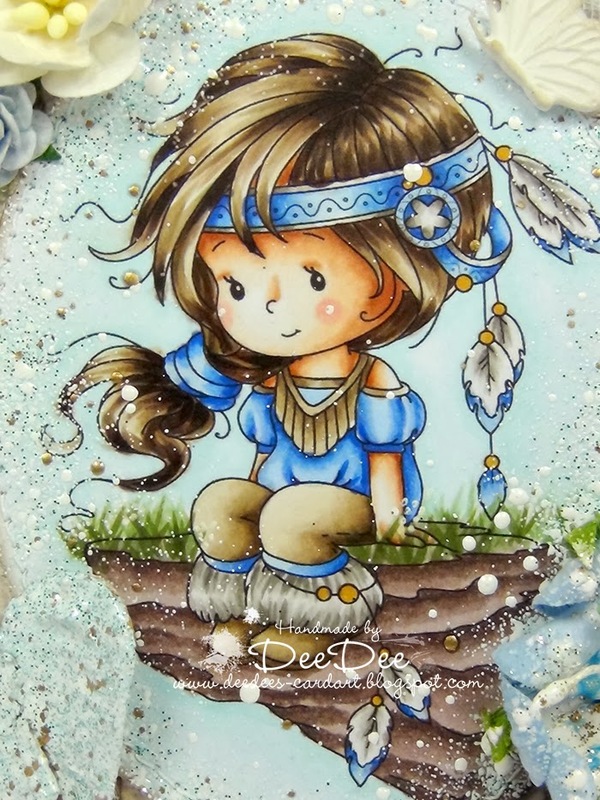 Here is DeeDee for you today! Hope you have a wonderful weekend! 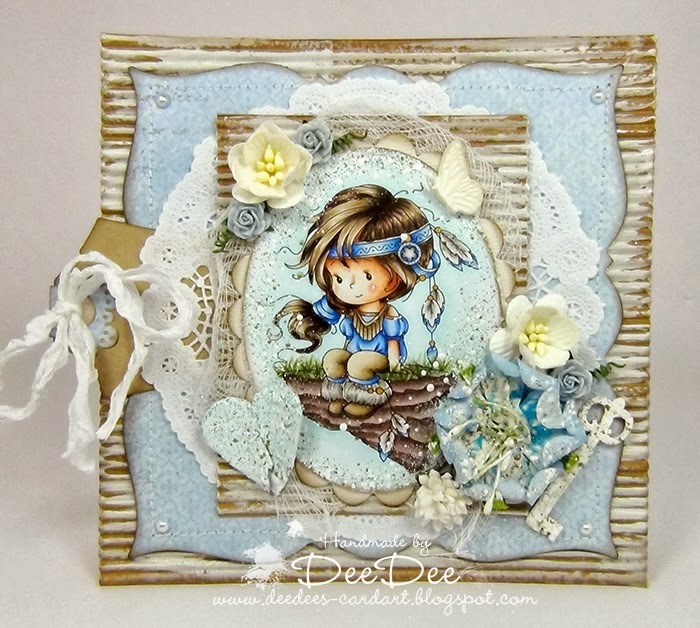 Today I show you a card with the beautiful digi stamp Waynet of WeeStamps. 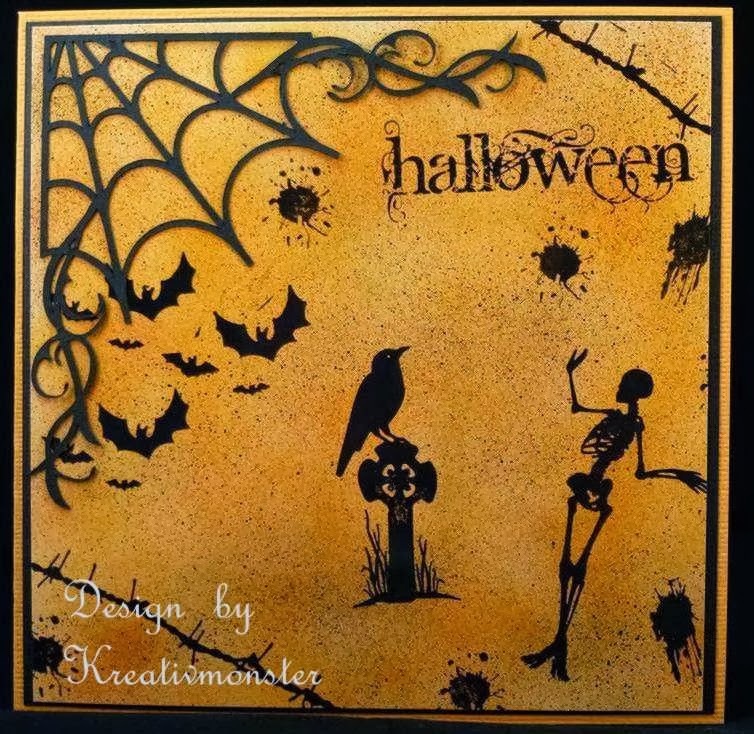 The DP are from Maja Design. 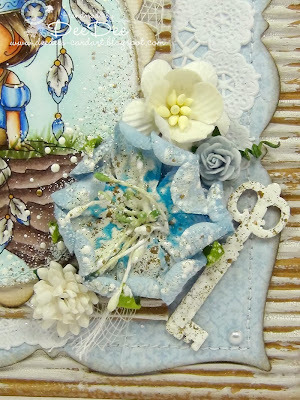 I used a lot of Fran-tage Shabby Blue and Shabby White on the image, the flower and on the wooden key. Also the heart has a lot of Fran-tage. 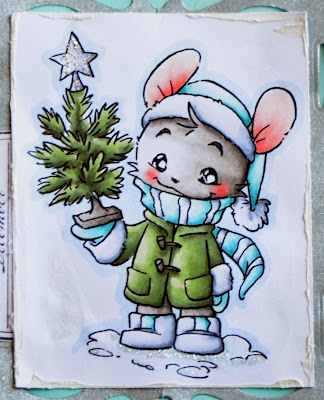 It's me again, Barbara/Kreativmonsterfor the Copic Marker Europe Blog Challenge. Thanks for all your very creative entries to our last Challenge "Photo Inspiration". It was so much fun to look at all your projects, but very hard to find the winner! The winner will be announced on Friday, 18.10.2013.
before the end of 14th November. The winner will be announced on Wednesday, 20.11.2013. P.S. I am sorry, there is something strange about the link-up-tool on the Challenge page, but it seems to work! What a pleasure to have you back here today! Want to thank you for all the lovely comments you allways leave arround. 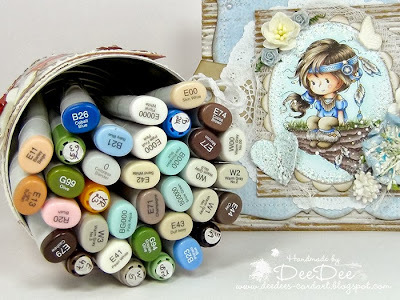 I really appreciate to share our COPIC LOVE with you here on the Blog. 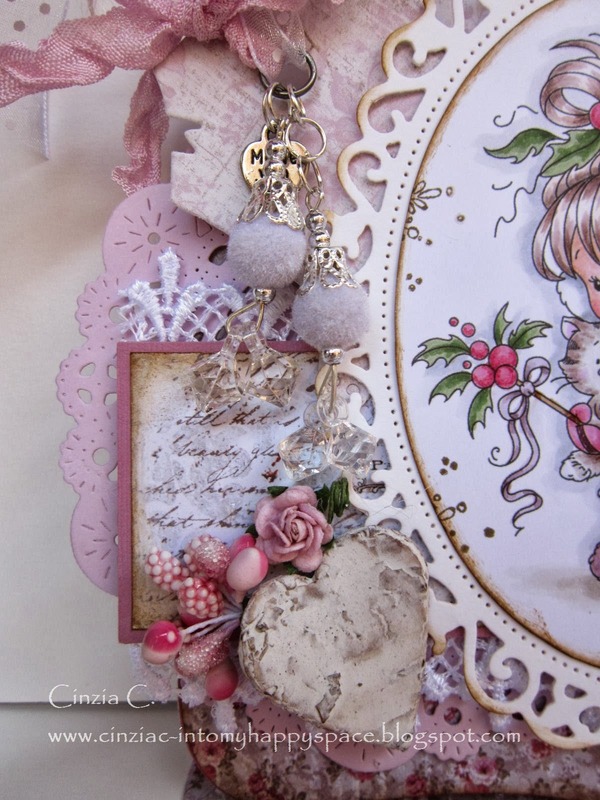 Today I'd like to share my little passion of pink... showing up in a little card I've created using Dressy Mae (Digi-Stamp by Some Odd Girl). One of my favourite colour combinations is pink with egg shell and brown tones. Therefore I love to mix up my copics as well. Hope it shows up on below pic, so you can see what I mean... first I colour in pink tones (here it's her skirt) and let it dry. When it's dry I go over the entire pink part of her skirt with E50 Egg Shell to give it a warm touch, that is repeating in the background design papers. For the shadowing of her skin I set first the shadow areas using E11, then slightly go over it with RV34, blend off a bit with RV31... then reuse E11 again. Then I blend this with E00 and E000. For her cheeks I've used R21 and R30. Her Eye Make Up is done with the same RV's I've used for her skirt. 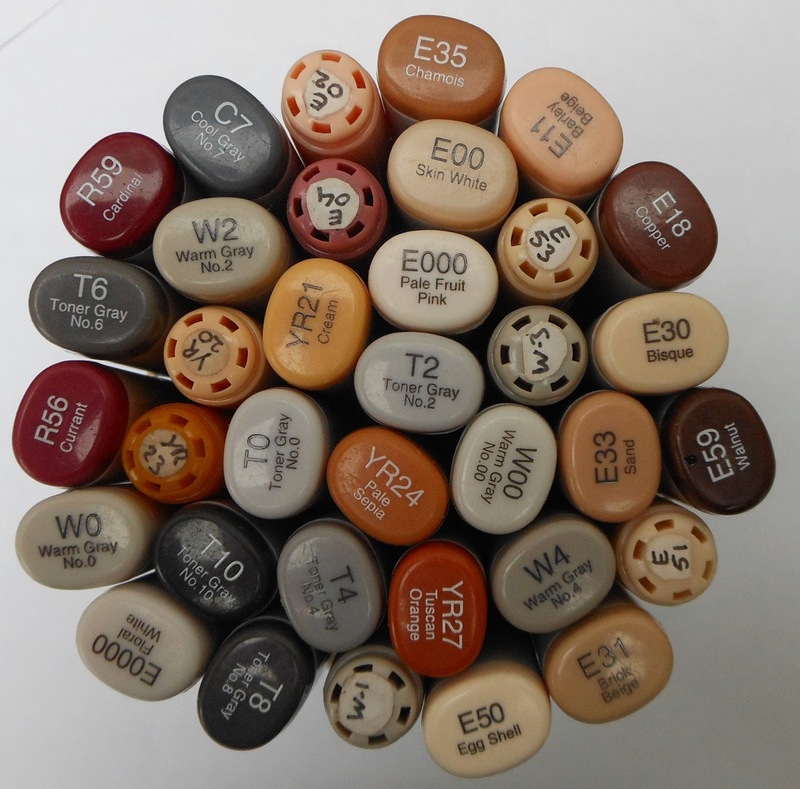 Find below all Copic Sketch Markers I've used for my coloration. Thanks for your visit & hope to see you back soon! It's my turn today (Wenda) to show you a card, I made one with a digi I found on DeviantART this one is from Jade Dragonne. 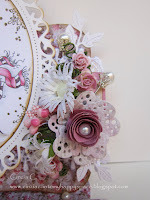 The gears on the card I made with siliconen mould and the Melting pot from Ranger and colored with Distress Stain. It's not good to see on the photo but I put some glimmer mist on the sheets and some Pan Pastel bronze on the gears so it is bling bling. Hello everyone! It's Delphine here today with some Christmas inspiration - Santa's Coming Tonight, well not exactly but soon:)! I love colouring scenes and I like how this cute stamp is a little scene by itself! 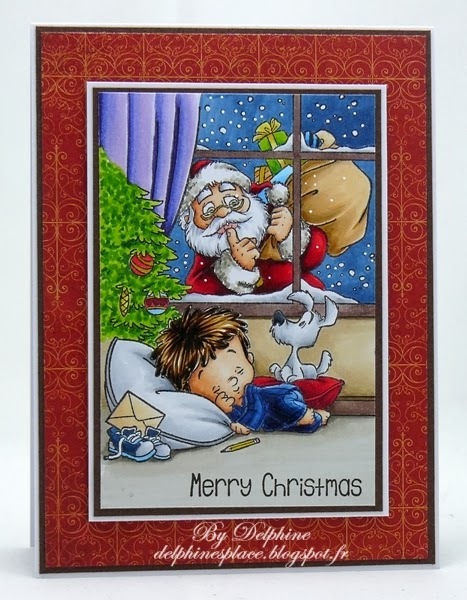 It's called Santa's Coming Tonight by CC Designs from the Roberto's Rascals range. 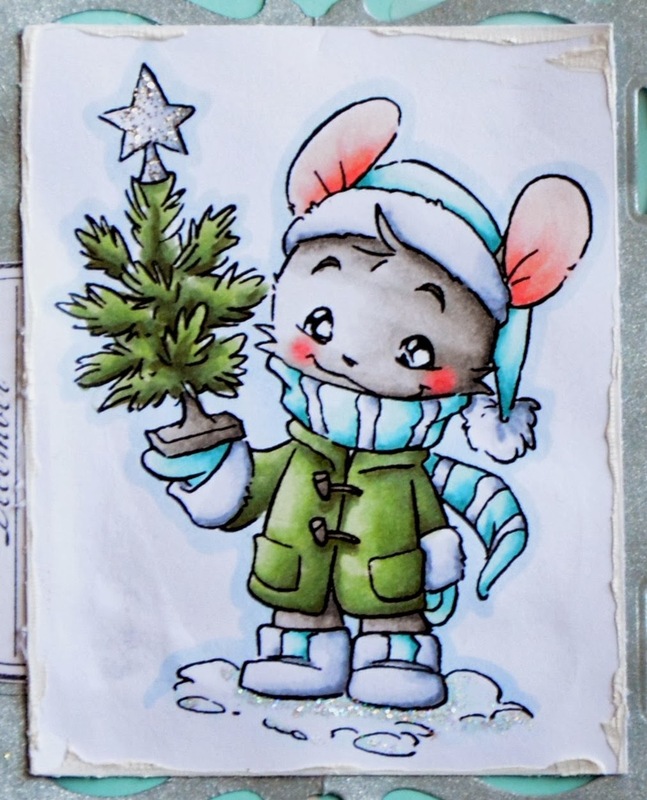 I stamped it with Memento Tuxedo Black Ink and coloured it all with my Copics. The sentiment is from the CC Designs Joyful Greetings Sentiments and the papers are Bo Bunny.